Rampages next generation of covers are designed to protect your vehicle from all kinds of elements. 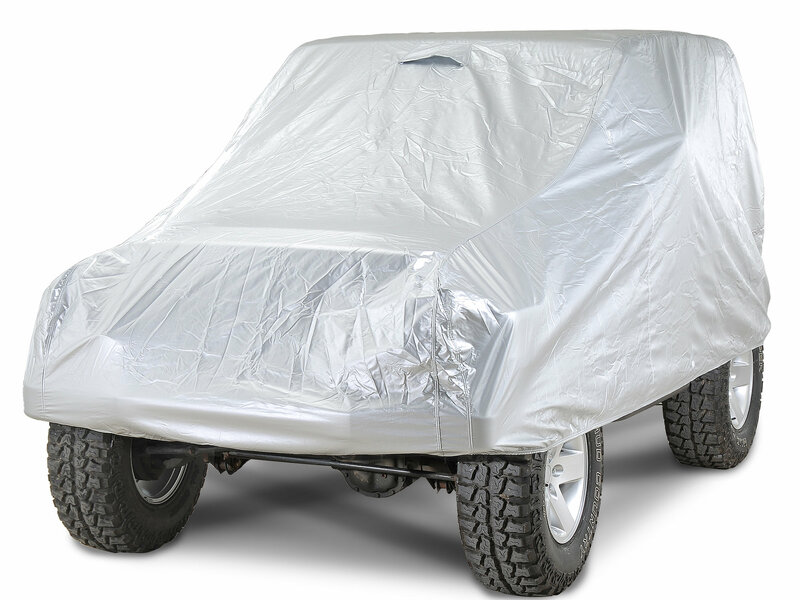 The Silver MultiGuard material offers superior wet weather protection and is vented to insure breathability and allow trapped ambient moisture to escape. This full cover has a Highly reflective, durable outer layer that will also protect your interior from harmful UV rays and keep your vehicle cooler. Soft inner layer flannel liner will pamper your painted finish. Includes Lock, Cable and Storage Bag. 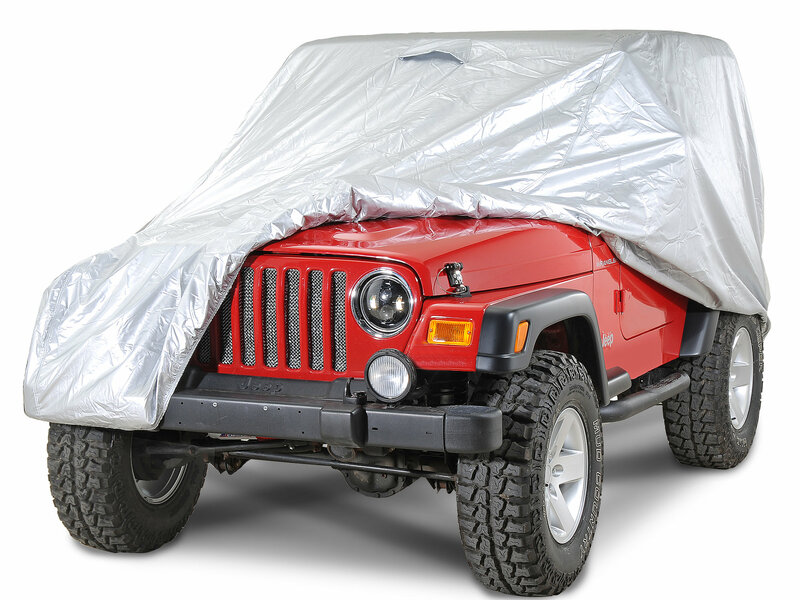 This full Cover easily slips over the vehicle with the top on for a snug, custom fit. 4 layer covers come with a free storage bag and wind restraint security cable and lock. This cover is pretty water proof the first few months, but it does leak some after some time. I wish someone would offer one that is truly water proof, for at least a couple of years. 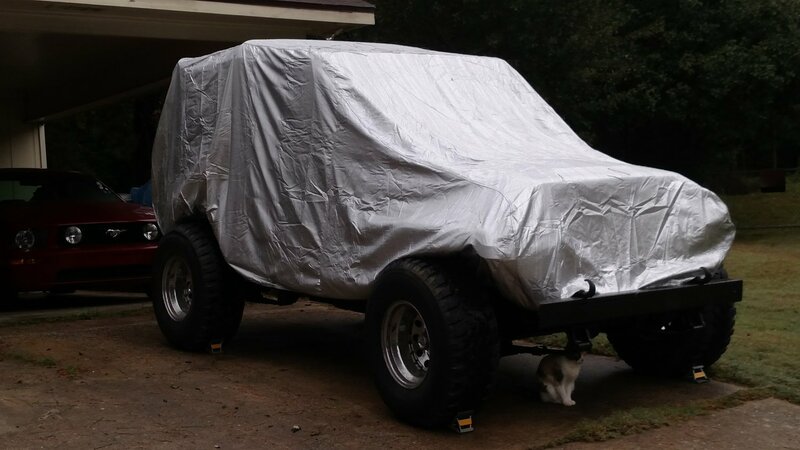 We bought this cover in advance of Hurricane Irma and it did a fantastic job protecting my son's Jeep. It is completely waterproof as advertised and though it rained for days his Jeep stayed completely dry. It is a well made, well fitting cover, with a soft underside, and a price that can't be beat. It is not a mere dust cover like so many other covers being sold, it is wet weather cover. It proved its worth in a hurricane, so what more can you say? Love It.Does a great job all weather. Really did good in high wind thunderstorm.